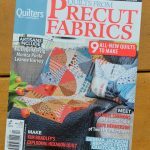 Sparkle was originally published in Quilters’ Companion (in Australia) magazine last June for their special issue on pre-cuts. You can see my original Sparkle quilt, Here. For the pattern, I wanted a different sample, and my mom was so sweet to sew this quilt for me. 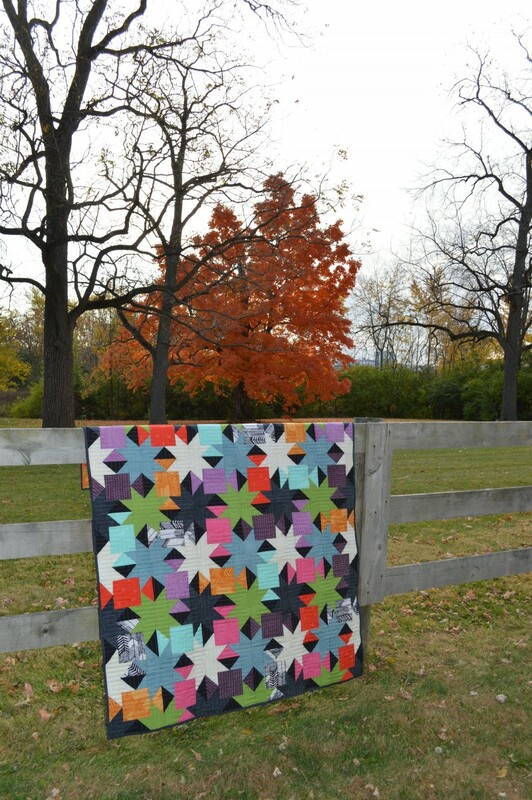 Huge thanks to her and to Hoffman Fabrics for providing fabric from their new collection of modern batiks, You and Me. These fabrics are seriously gorgeous, if you haven’t seen them yet, check them out. Great for basics, or “almost” solids. The Sparkle pattern includes instructions to make three sizes (throw, full, queen). 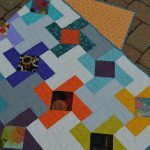 The throw size can be made with two pre-cut packs of 5″ squares, the full size is great for a layer cake or fat eighths, and of course any size is always great to use your stash! Just choose your favorite prints, then add four contrasting colors…mine uses light and dark blue and light and dark green…that make up the stars. 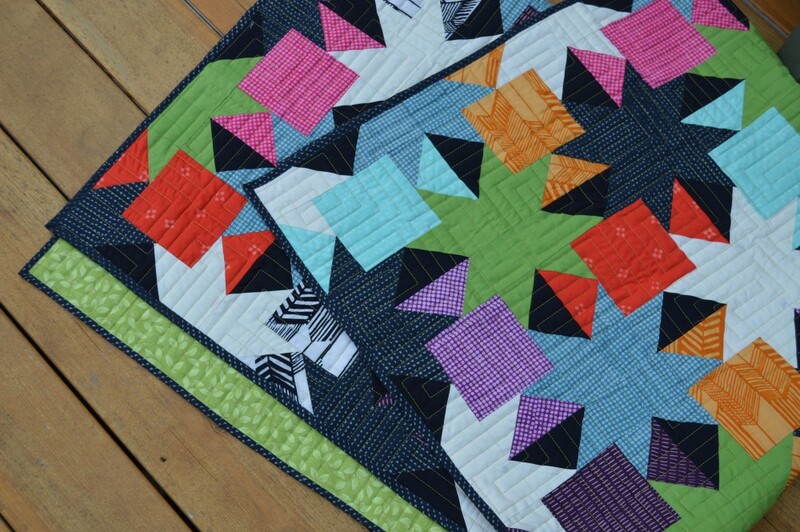 This is a really great quilt for anyone interested in trying something a bit more modern. 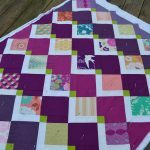 The block-based construction means it is very easy to sew, but the finished design has so much movement, and a great variety of secondary designs. I can’t wait to see what you create with the Sparkle pattern. 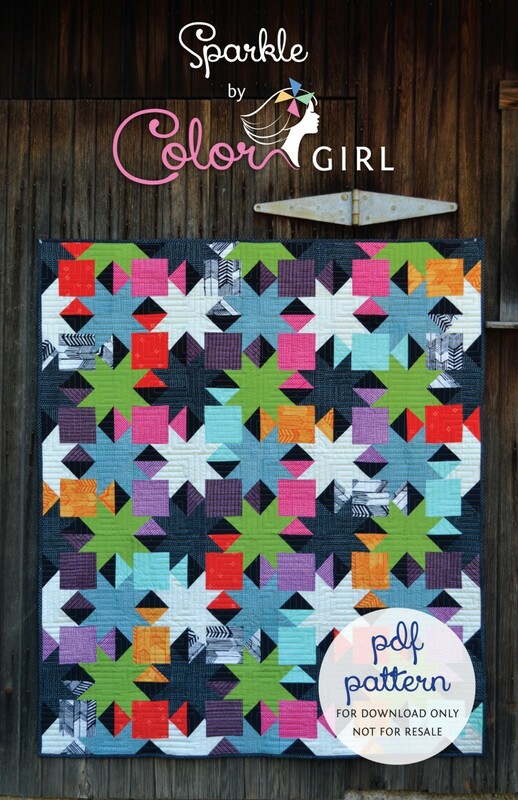 Tag photos on instagram with #colorgirlquilts and me, @colorgirlquilts, for post on Facebook, Color Girl Quilts. Love that bit of black and white! Well done. When you compare this with the version in the magazine, you can really see the impact colour has. Love this one.